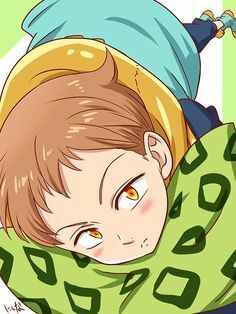 Who among the Seven Deadly Sins is the Cutest......????? Who Do u Want Meliodas will end up With ? de keuze van de fan: YES! YES! YES! Who Is meer Suited For Ban........!!!!!!!!! Am I the only one who thinks Ian Somerhalder looks like King, do u agree? Who is ur Fav Character From Nanatsu No Taizai............???? The Seven Deadly Sins is getting a new anime season! It was revealed during the Nanatsu no Taizai FES event that it have the subtitle Revival of the Commandments and it will air during the Winter 2018 season. Scroll down for the staff and cast! They also announced that a anime film will premiere in Summer 2018. Each member of the Seven Deadly Sins had been judged and found guilty of committing a grievous crime door the Kingdom of Liones, with their titel being gegeven based on the root moral failing on their part which caused this crime. Though it sounds clear cut, for most of them it seems extenuating circumstances were at play. Meliodas considers his sin to be his failure to protect Danafor, its citizens, and Liz from the kingdom's annihilation. The official story is that Meliodas lost himself in his wrath and annihilated the Kingdom himself. If Meliodas was the "Dragon's Sin of Wrath" what is King's?